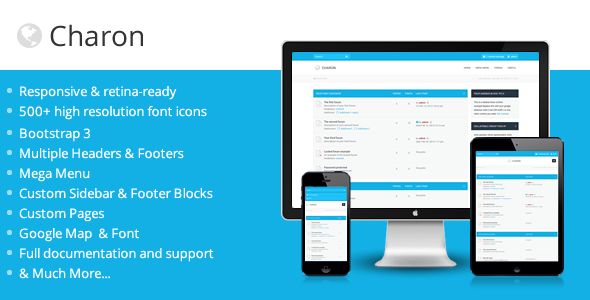 Charon is a responsive retina ready phpBB3 theme. Built on Twitter Bootstrap 3 ,this theme comes with an attractive flat design and easy to customize, which makes it perfect for any kind of forum community. All the forum icons including the logo, are fully scalable vector icons,looking crisp & clear on your high resolutions devices. Item Reviewed: Attractive Bootstrap 3 Responsive Forum Theme 9 out of 10 based on 10 ratings. 9 user reviews.